16th March 2018 — Comments are off for this post. I am very excited to be working with Nelly Duff Gallery. Situated on Columbia Road's famous flower market, Nelly Duff is very well known and liked Edition House & Gallery established in 2005, showcasing a fabulous roster of artists, I am thrilled to be joining them. 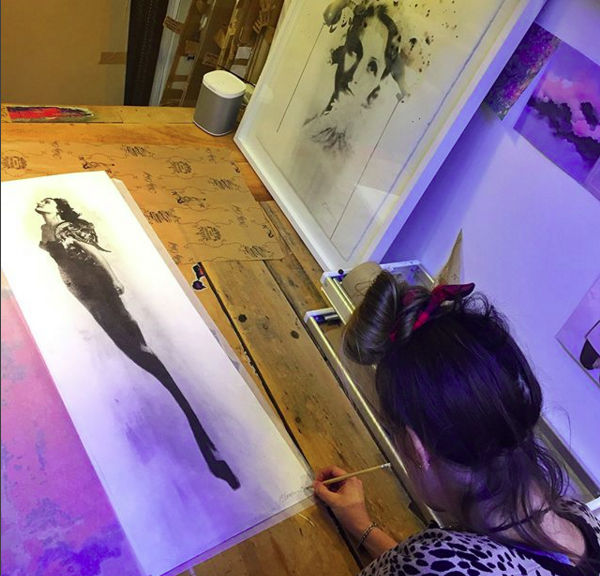 Here I am signing some new 'Falcon' prints in the gallery.Here is what they have to say about it..